Becoming a lawyer is a noble pursuit. You will invest time and money in law school, so deciding where to go is crucial. You may be deciding between a public and private school. Perhaps you are looking at the differences in tuition. Don’t let that influence your decision too much. You have all heard the age-old truth: you get what you pay for. This is one of the most important investments of your life. Here are some other differences between public and private schools that have nothing to do with tuition and everything to do with your law school experience. 1. You want to go where everybody knows your name. You want to go where your professors know your name, too. All law classes at Stetson Law are taught by lawyers. You will not get a research or teaching assistant, you will get an expert in their field. Also, because of the small class sizes, they will know your name. Professors at Stetson are almost always available to you. Public law schools may not offer this kind of access. It may not seem like a big deal now, but it will be a big deal when your dream job wants a letter of recommendation. 2. Your uniqueness is embraced here. There is no question that the campus and community shape the law student but this alone is not enough to become a successful, well-rounded lawyer. The law student is not a singular entity and certainly not a mere vessel for the campus to fill with information and robotic memorization techniques. Each law student has a set of gifts which makes them unique. Stetson Law students are shapers of the campus and community, bringing their experiences, backgrounds, and talents. This synergistic dynamic often is under-appreciated by many public institutions but does not go unnoticed by Stetson Law. 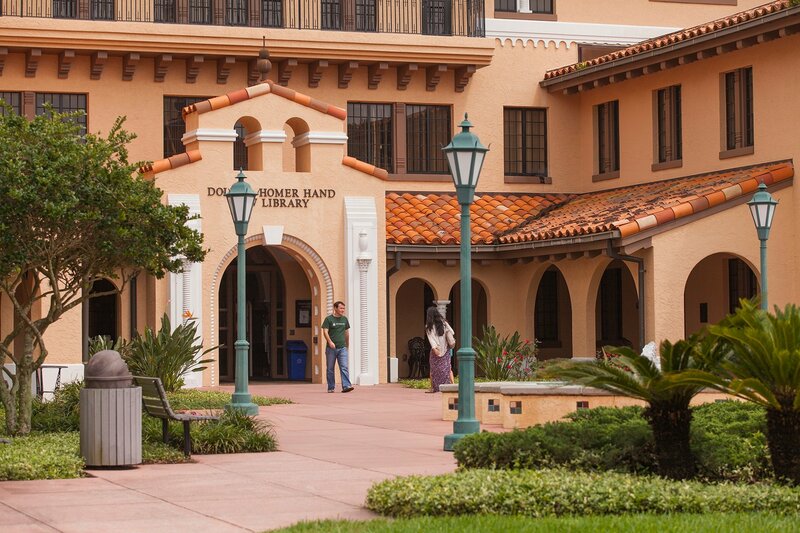 Stetson fosters the shaping of campus by students and students by knowledge. 3. We help each other. When I first thought about attending law school, I talked to my friends at various law schools in Florida and watched Legally Blonde. After, I began asking myself: will anyone let me join their study group? One friend, who attended a big public law school in Florida, told me of how virtually no one studies together because the culture is so competitive. There is nothing wrong with healthy competition, and Stetson Law encourages it in various ways. However, Stetson Law’s culture is built on building each other up. Most of your classmates will end up becoming lawyers and you will see them again, even if you do not end up practicing in Florida. Your colleagues are not your enemies. They are your support system, your network, and sometimes your inspiration. 4. Stronger connections are formed here. When you get out into the job market, you will most likely talk about where you went to law school. 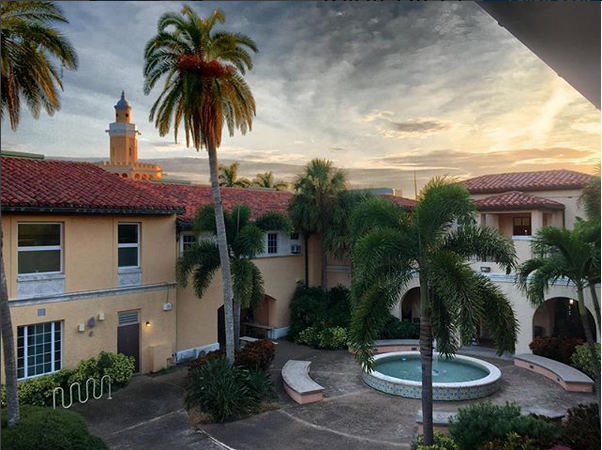 Private law schools like Stetson Law are well connected to the community and often its reputation speaks for itself. Our professors and alumni are world renowned. Since it is a small school, you will get to know all of them. Networking is everything and a private law school like Stetson will give you these connections. The culture of a small private school is one of the best in my opinion. I am a bit biased. I went to a small private university all four years of undergrad: Proud Double Hatter here. After undergrad, I pursued a masters at a large public university. The school was huge and like most public graduate schools, was located with the undergrad. Being with a large undergrad population can be distracting when you are trying to be a serious graduate student. There were so many people, I felt like a number and I missed my small university culture so much. I missed going to any place on campus and seeing familiar faces. I missed how well I was treated by the professors and administration. It is like being part of one big family. Law school will be one of the most challenging times in your life but being part of a close-knit community will make it a bit less challenging. And, don’t forget, private law schools often award far more money in scholarships to their incoming classes -- and this can often translate to being comparative to public law schools in terms of cost. (And sometimes even cheaper.) I hope this has helped you as you decide what law school is right for you and your future! Originally from St. Augustine, Florida, Molly Kaelin is a Double Hatter in her 2L year at Stetson. She received her bachelor's degree from Stetson Law in 2015. She plans to practice Patent and Intellectual Property Law upon graduation. In her spare time, she likes to play tennis and cuddle with her cat, Annie.